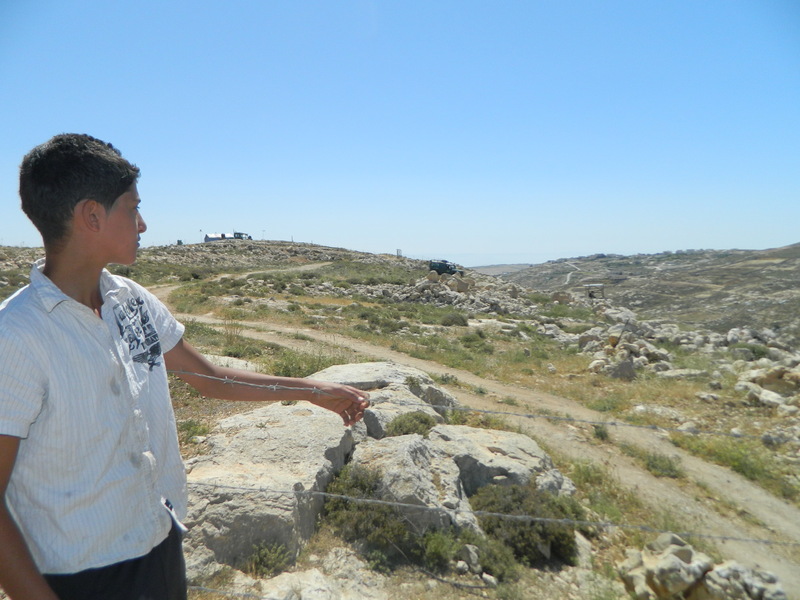 Qasm watches the construction on his father’s land. Photo EAPPI/L. Hilton.